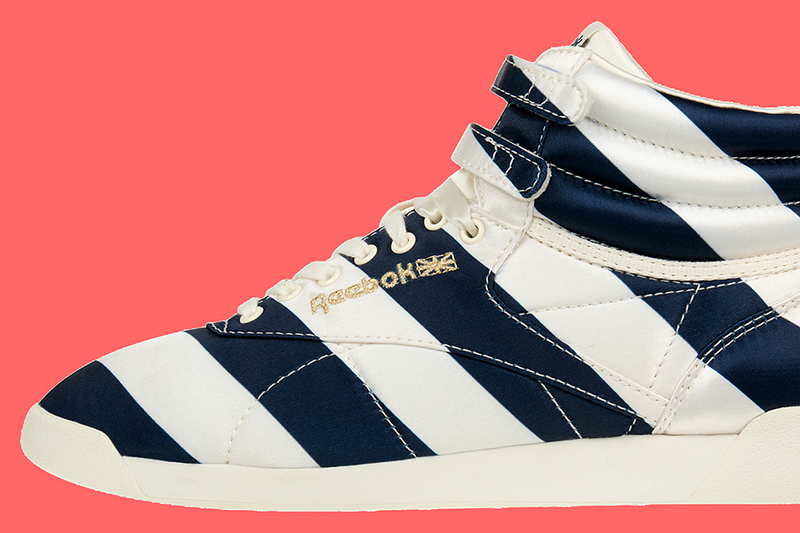 Fashion designers at ASOS White teamed up with Reebok for an upcoming Fall collection aimed at fashionable women. 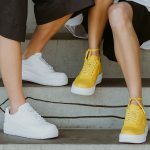 The limited ASOS White x Reebok Classic Capsule will feature seven silhouettes, blending the feminine minimalism of the ASOS White collection with classic Reebok models. ASOS White is a premium women’s collection designed by online fashion marketplace ASOS. The first drop of theASOS White x Reebok Classic Capsule will release on September 11 and feature three styles. As you can see in this close look, the collection creates its own aesthetic by blending timeless silhouettes with unexpected materials and patterns. Starting things off l is the Reebok Princess low-top. For this one, the designers at ASOS White went with a rich navy suede to create an upscale but understated look. 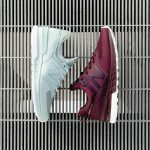 Accents such as shiny laces and logo embroidery also add refinement. It will retail for EUR 78.00. 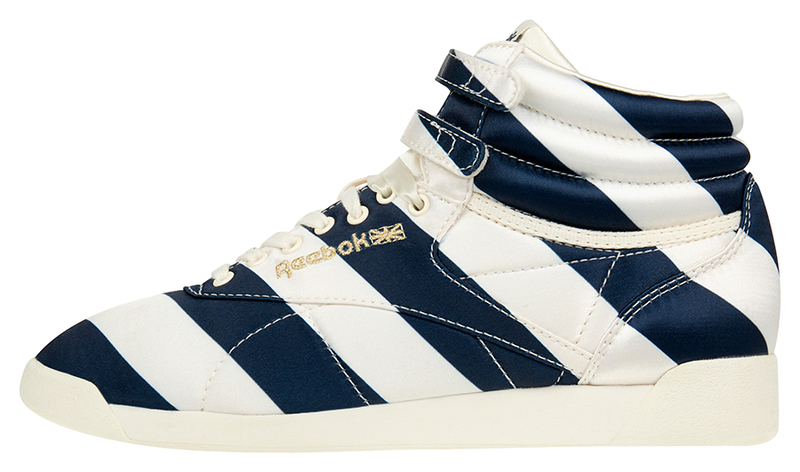 Also maintaining the navy blue theme, the ASOS White x Reebok Classic Freestyle Hi model in Satin Stripe creates an interesting effect by blending navy blue and creme white in a bold stripe pattern. It will retail with a EUR 90.00 price tag. The Freestyle silhouette also shines, but in a different light, in the Satin Spot version. It pairs a rich navy base with white polka dots, supplemented by shiny laces. 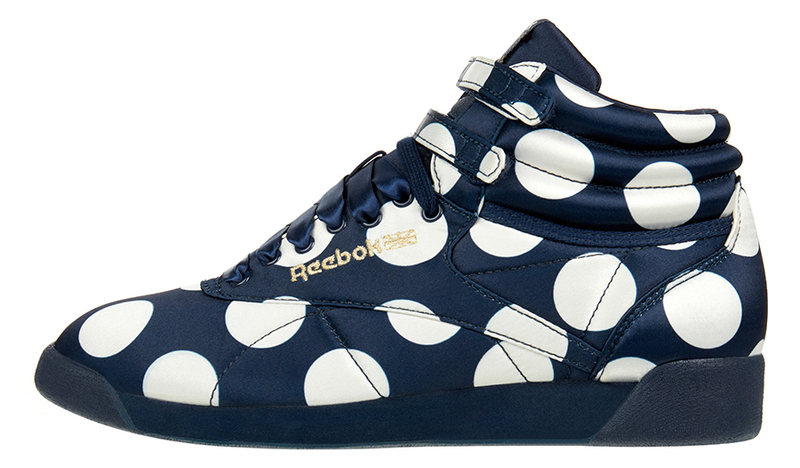 The elegant high-top will also retail for EUR 90.00. The second drop of the ASOS White x Reebok Classic Capsule will follow in November. Upcoming models will include a Reebok Workout FVS in glossy black leather. Watch this space for updates and also follow @asos_de and @asosprteam on the socials. The first three models will launch on September 11 exclusively at ASOS.